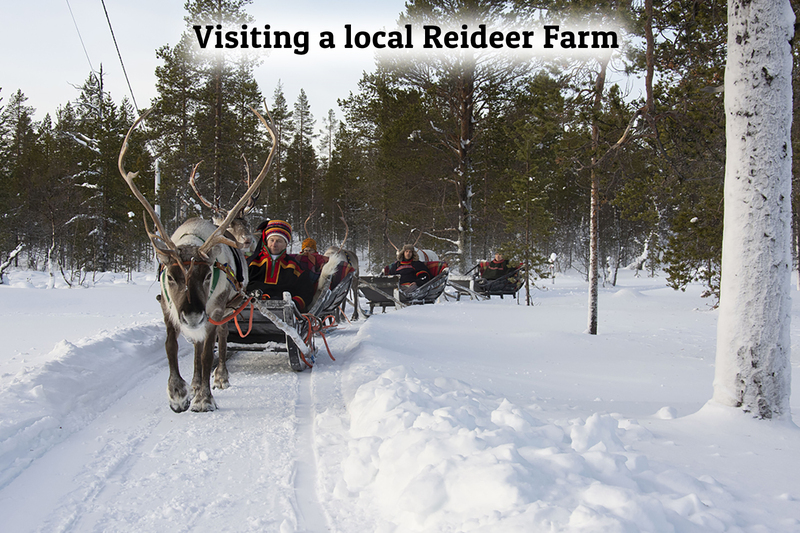 We pick you up from your place of accommodation in Saariselkä to take you to the Riekkovaara Reindeer Farm, where we are dressed in warm outdoor gear. 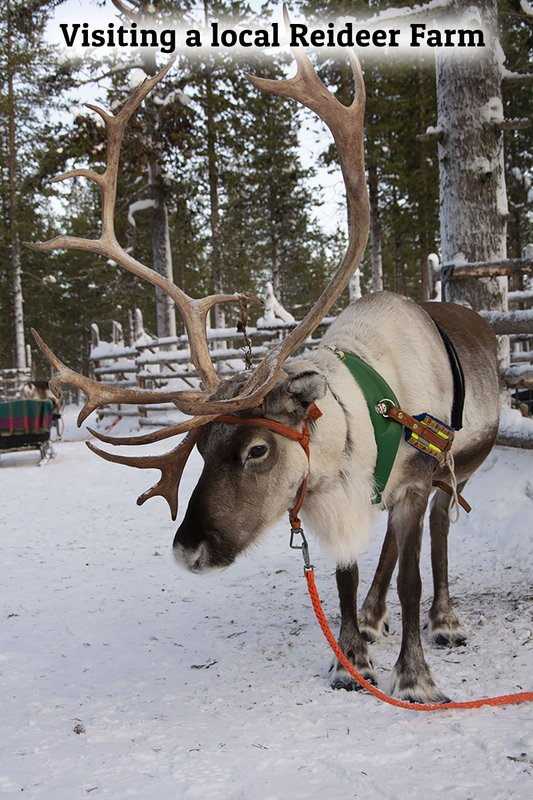 Now it is time for you to get acquainted with the reindeer. 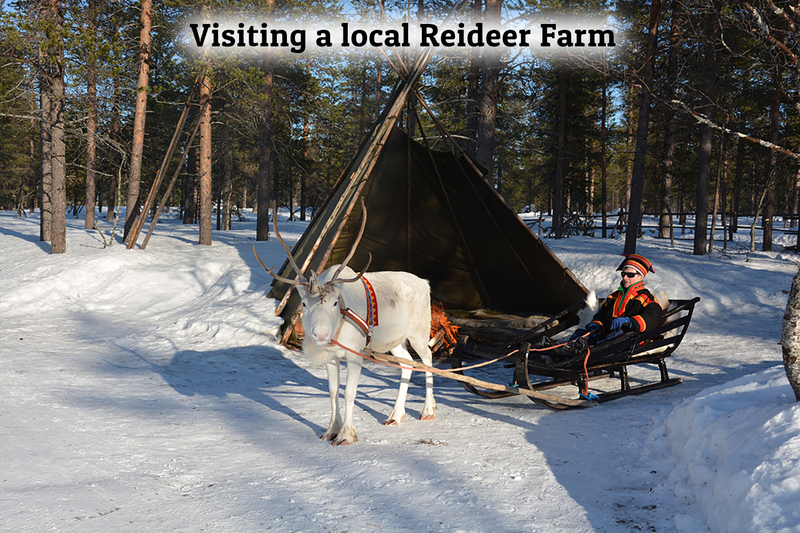 During the safari you travel in a traditional Lappish sleigh pulled by your reindeer. 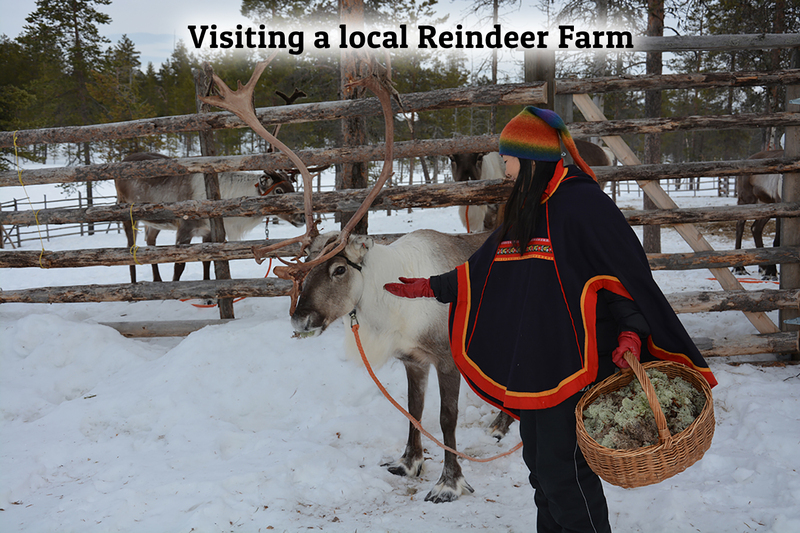 Seated warmly on reindeer hides and covered with blankets, it’s nice to feel authentic and tranquil nature, broken only by the snap of the reindeer hooves and the sound of the sleigh being pulled over the snow. 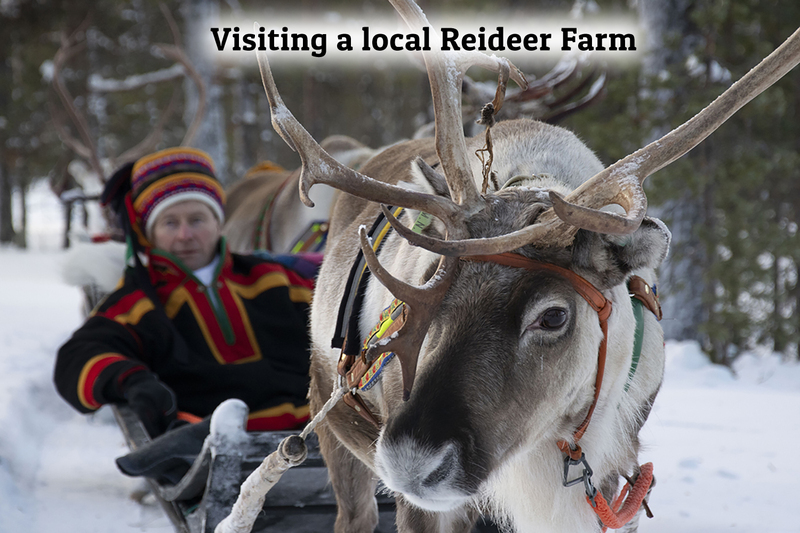 After about 45 min, we return to the reindeer farm. 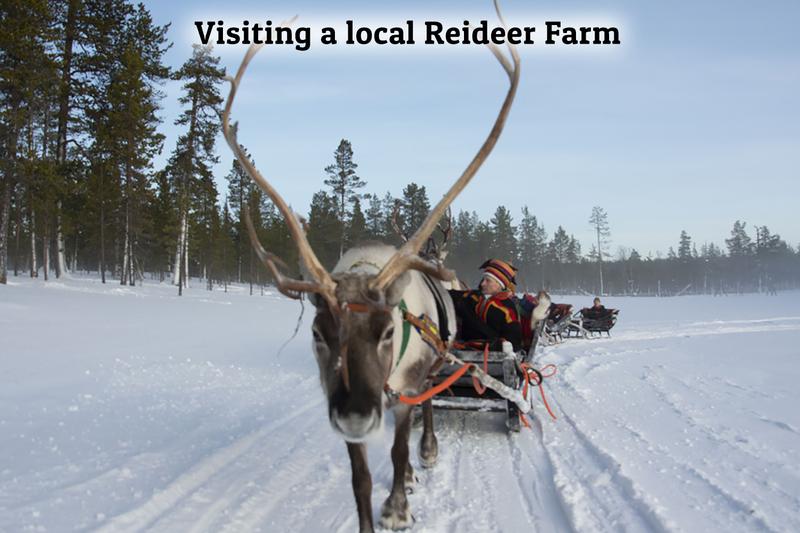 In the cosy main building or Lappish kota shelter of the farm we warm up and savour some coffee/tea. 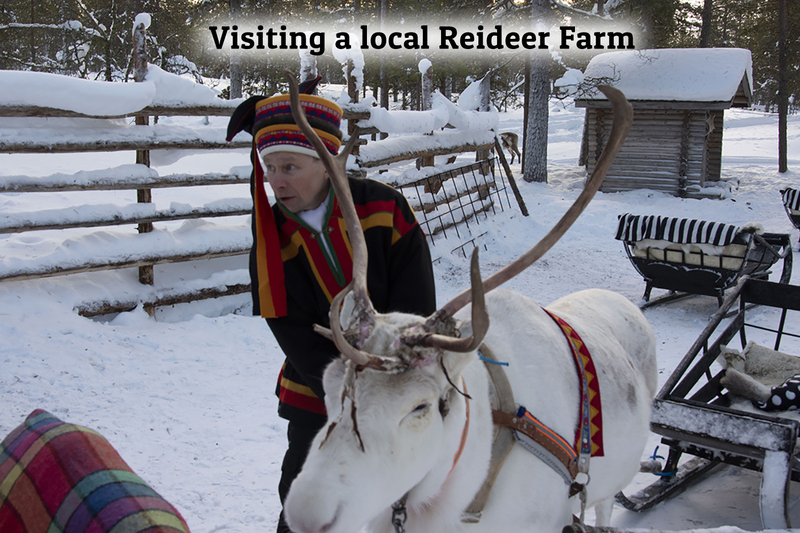 The herder tells about reindeer and reindeer herding before issuing you with your own International Reindeer Driving Licence. 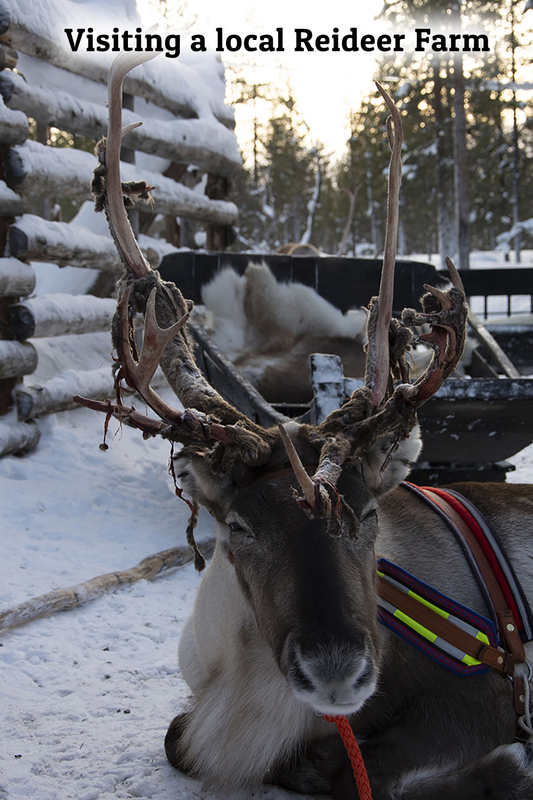 After coffee/tea it’s time to say goodbye and return to Saariselkä. • 55 € / child 3-11 yrs. Winter 2019-2020, updated 04/19. We reserve the right to make changes.